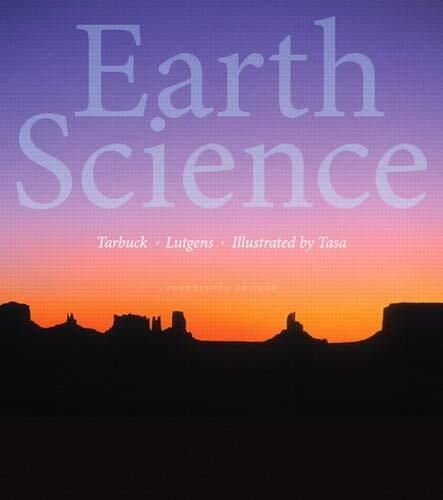 Ideal for undergraduates with little or no science background, Earth Science provides a student-friendly overview of our physical environment that offers balanced, up-to-date coverage of geology, oceanography, astronomy, and meteorology. The authors’ texts have always been recognized for their readability, currency, dynamic art program, delivery of basic principles and instructor flexibility. The Fourteenth Edition incorporates a new active learning approach, a fully updated and mobile visual program, and MasteringGeology™–the most complete, easy-to-use, engaging tutorial and assessment tool available. Note: You are purchasing a standalone product; My_Lab/Mastering does not come packaged with this content. If you would like to purchase both the physical text and My_Lab/Mastering search for ISBN-10: 0321934431/ISBN-13: 9780321934437. That package includes ISBN-10: 0321928091/ISBN-13: 9780321928092 and ISBN-10: 0321943147 /ISBN-13: 9780321943149. My_Lab/Mastering is not a self-paced technology and should only be purchased when required by an instructor.